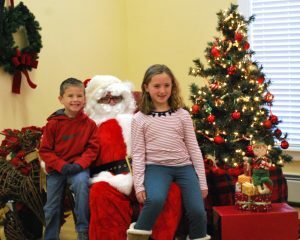 It was a great day, Sunday, December 11 when Santa came to Wilmot. 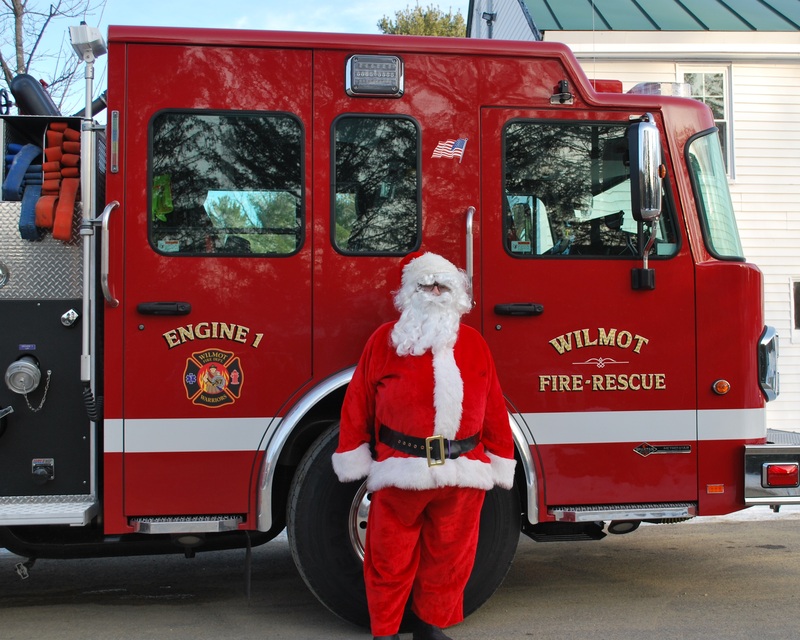 Our favorite toyman left his sleigh at the North Pole and roared up to the WCA Red Barn in a bright red firetruck. 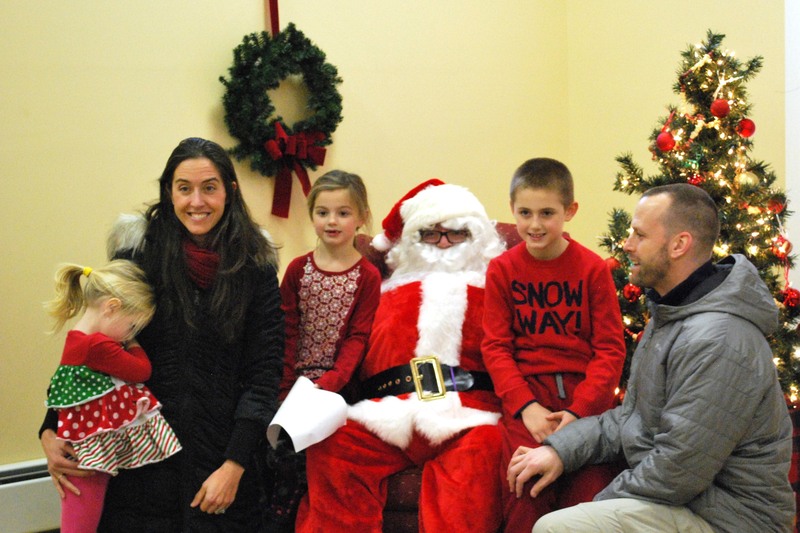 We were delighted to welcome Santa at the WCA Red Barn. 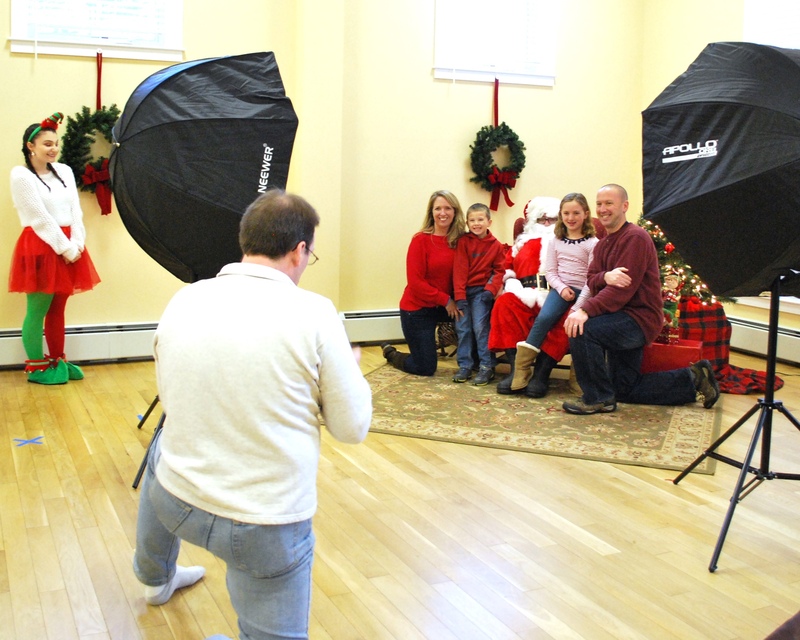 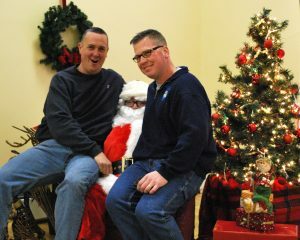 … Santa and John Swindell from Kearsarge Studios. John was on hand to catch all those special holiday moments – from happy families to reluctant toddlers. 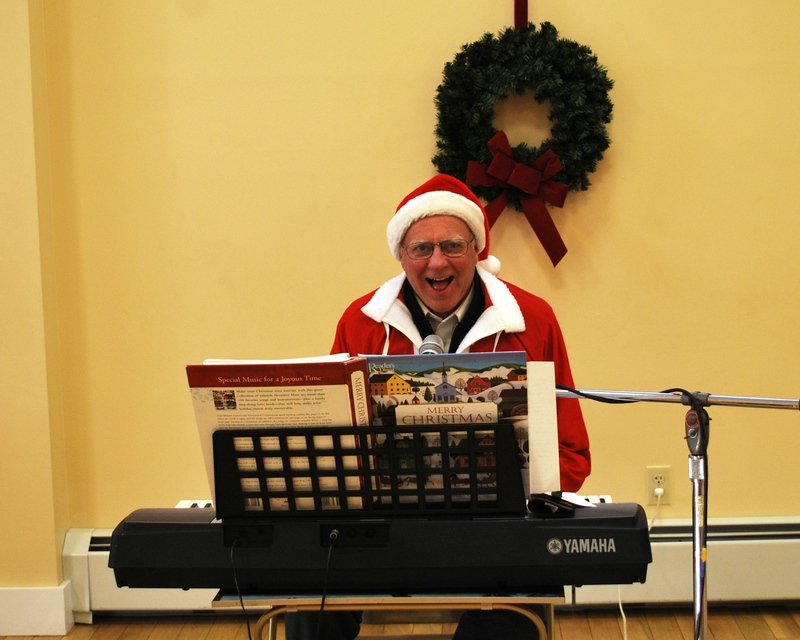 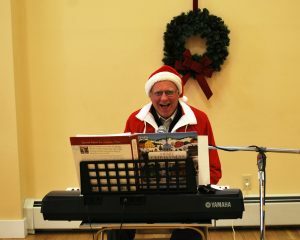 Al Peterson had everyone singing their favorite holiday tunes.. 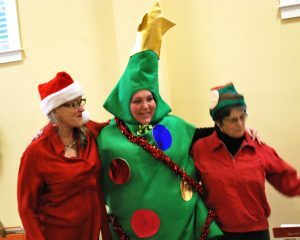 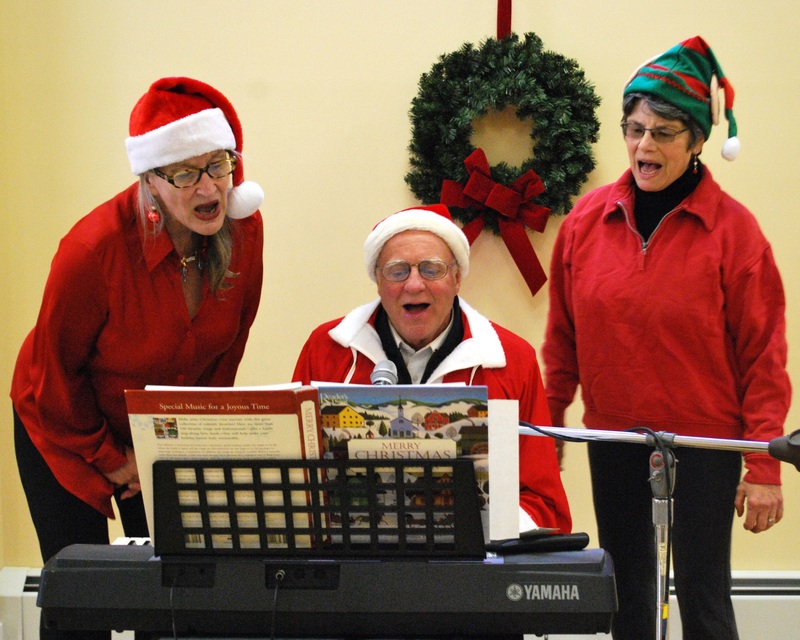 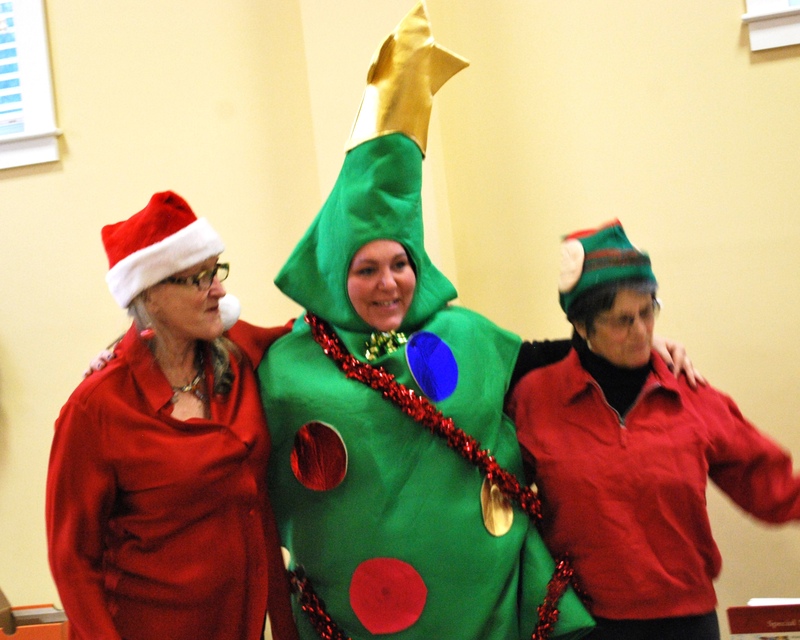 He was even joined by a couple of doo-woop girls..
December 23 from 9 a.m. to 2 p.m. 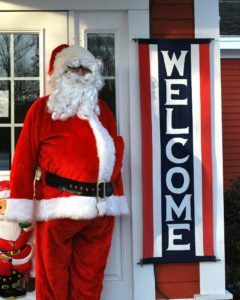 This entry was posted in W.O.W. 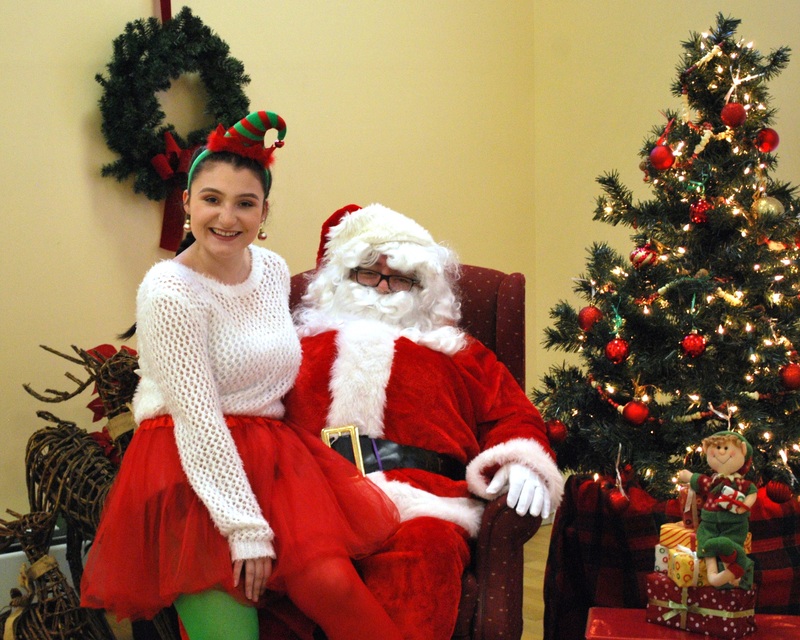 Event, WCA, WCA Events, WCA News, WCA Programs, Wilmot and tagged Christmas, Santa, Wilmot Express by admin. Bookmark the permalink.